Fine Gael Local Representative for Glasnevin and Drumcondra, Noel Rock, has welcomed the inclusion of the Botanic Gardens in Glasnevin on Fáilte Ireland’s list of the top visitor attractions for 2012. “I’m delighted that the Botanic Gardens has made the top ten list for the most visited tourist attractions in the country. 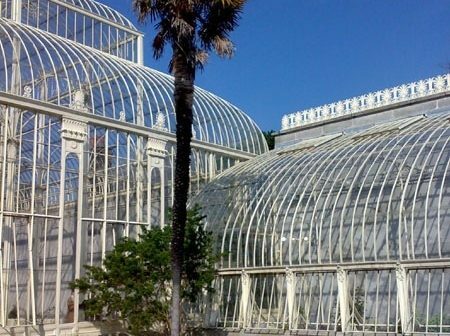 544,685 people visited the Botanic Gardens in 2012, making it the second most visited free tourist attraction in Ireland. “Its inclusion in the top ten visitor attractions is very reassuring, especially given the vast array of things to see and do throughout the country. Visitors to Ireland and Irish people themselves expect an increasingly high standard of attractions and we need to continue to strive to make ensure that our visitor attractions are top quality. “First class attractions such as the Botanic Gardens play an important role in attracting Irish and foreign visitors to our county. The impact of these visitors on the local economy and on people’s livelihoods is very significant. Put simply, the strong performance in the tourism sector is helping to retain and create jobs. “The tourism industry is vital to Ireland’s economic recovery and the Government is working closely with tourism agencies to promote Ireland at home and abroad. This Government has decreased the rate of VAT on hospitality services to encourage people to spend money and, in doing so, boost employment. The OPW is also to be commended for allowing free entry to OPW managed heritage sites on the first Wednesday of every month.